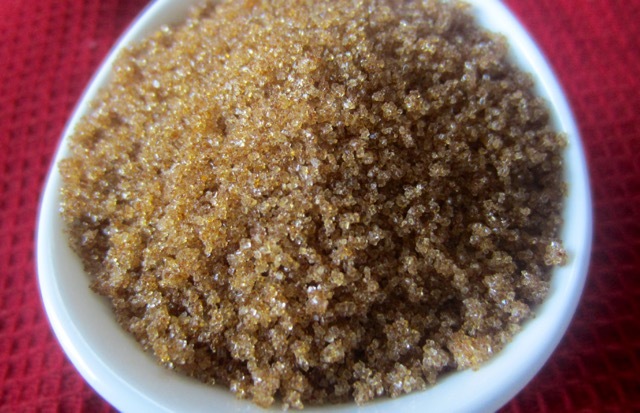 It’s specialty light brown sugar, with large golden crystals which are slightly sticky. It’s also described as Golden brown crystal sugar. Due to the heavy molasses coating, Demerara tends to clump easily so I usually buy it in very small portions at the Bulk Barn store. 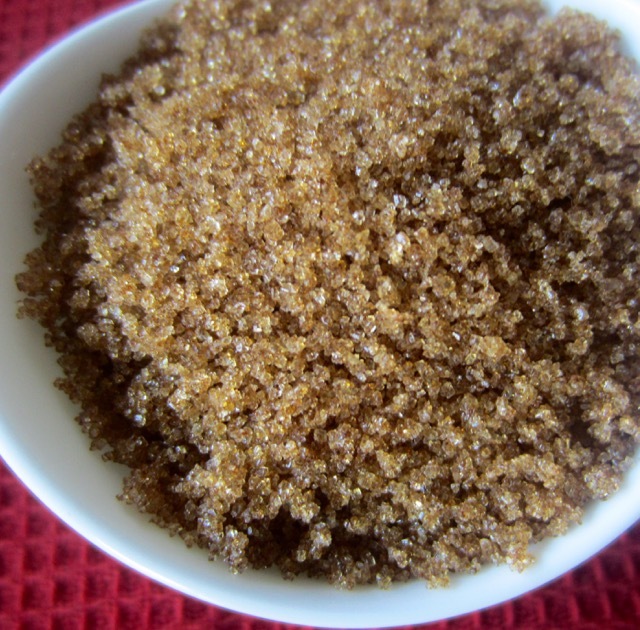 Demerara style sugar is used to add a delicious crunch and flavour to biscuits, muffins, crumbles and other baked goods. It is often used in tea, coffee or on top of hot cereals. It’s not suitable for meringues or other light coloured foods, because it will darken them. Store in a cool dry absolute air-tight container for 3-4 months. Next What is Urad Dal (Black Gram)? I mostly use this and turbinado sugar, love their delicate flavor. Nice to know. I really love turbaned because of the crunch it gives to muffin tops!